Shu Uemura Skin Purifier Oil Cleanser: I have been using this for the past 10 years. I know some people are against it because it carries mineral oils but I can't complaint. It cleanses my skin and also removes any dark mascara easily. Plus it leaves my skin subtle and soft. Creme de la Mer: Against i swear by this, I have blogged many times about it and will praise it to whoever wants to hear it. Perfect moisturiser. Expensive indeed but I don't want to give it up. Is there a cheaper alternative that you know and have tried? Vichy Aqualia Thermal Eye Roll-On: I only recently started using this so I can't comment much. I like the roll-on form and its freshness, and also how easy it is to use. It claims to reduce the intensity of black circles and under-eye bags. La Roche Posay Effaclar Al - Targeted Breakout Corrector: I used it on a couple of small spots and while they did not disappear overnight they are not here anymore. I like the La Roche Posay products and it's packaging and everybody raves about this one I had to give it a go, the price won't break the bank and it seems to be working so it's a yes from me. Kiehl's Midnight Recovery Concentrate: Using oils on me was a no no no. For about a year I switched the Creme de la Mer for the Rodin oil and liked it - but apparently didn't love it as I went back to La Mer? probably. This little blue bottle by Kiehl's claims to leave your skin rested and younger looking with just 2 drops overnight. I don't know about that, I'm not impressed easily I must admit, but I like it. It leaves my skin soft, non creasy and moisturised all while keeping it young(ish) and subtle. I also like the smell. Caudalie Beauty Elixir: I liked the story of this one, but I don't use it as often. Apparently it hydrates and refreshes your skin, and while I like it I don't know where or how to use it often. Sometimes I spray it on my hands, rub and smell, it's invigorating, I read it somewhere by someone who is in the known. It's the small bottle and hence not as expensive. Aesop B & Tea Balancing Toner: This takes out everything the Shu Uemura doesn't. All the dirt. And cleanses my pores, they are in deer need of a good cleanse... I think the Clarisonic is soon to be my new friend, but I'm a bit scared as most people rave but some few talk about it really badly. Do you have it, should I get it? Ren Smooth and Renew Mask: This smells like some tropical fruit, is perfect for sensitive skin and I like the feeling of clean you feel after removing it with a facecloth and rinse your face with warm water. If you have sensitive skin but want to use a mask, I can definitely recommend this! Bioderma Sensibio H20: This french product is on everyone's makeup bag for a reason. This cleansing water does the job better than... better! Get it if you can, it's cheap, lasts forever and is good for your skin. 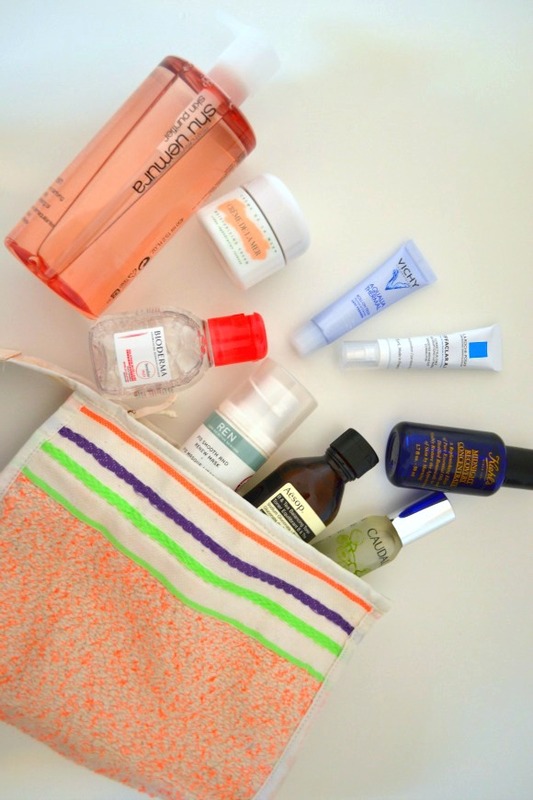 WHAT are your skincare staples? I'd love to know what you use and love! i cant justify creme de la mer but i know it's one of the best out there for skincare. maybe i should put on my Xmas list, haha!